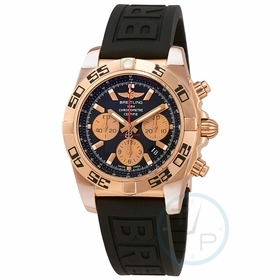 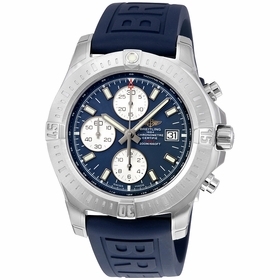 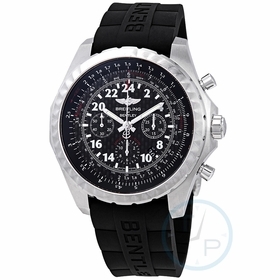 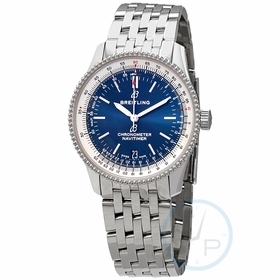 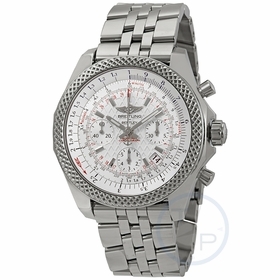 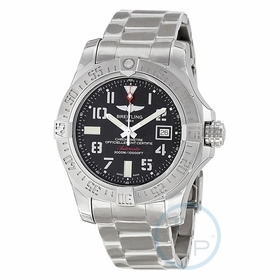 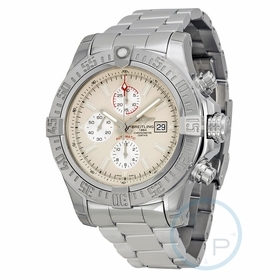 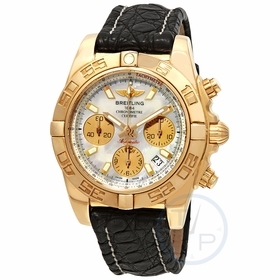 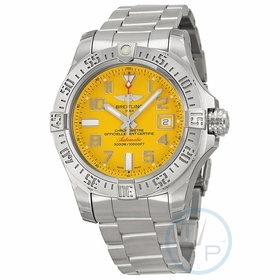 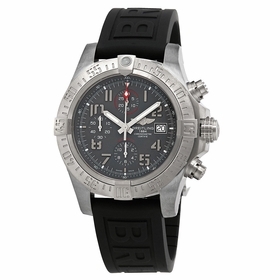 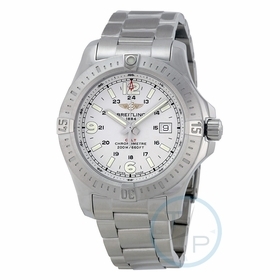 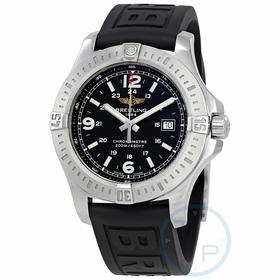 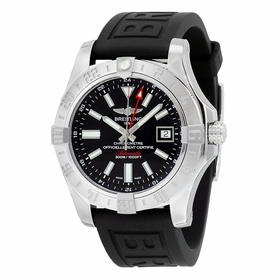 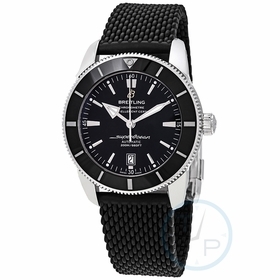 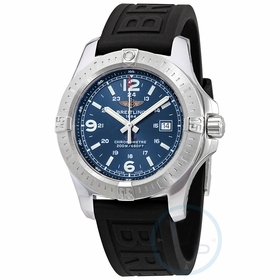 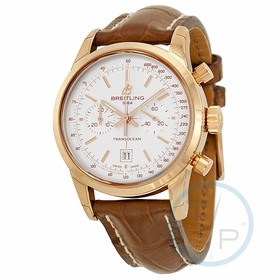 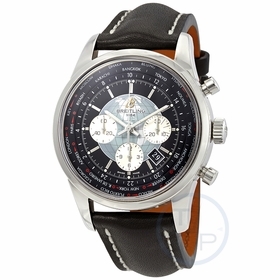 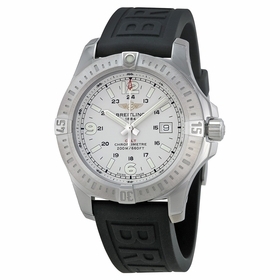 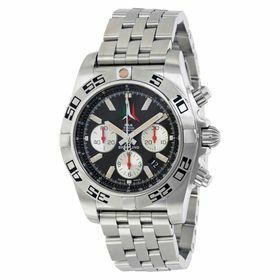 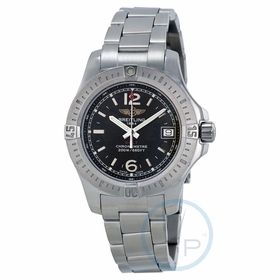 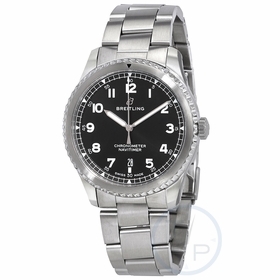 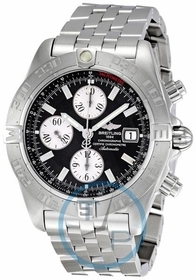 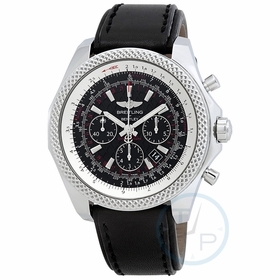 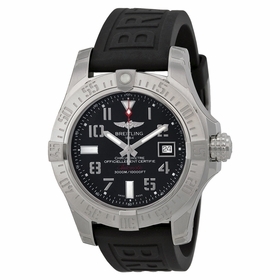 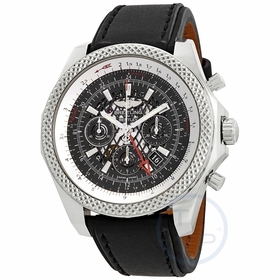 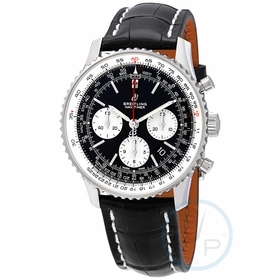 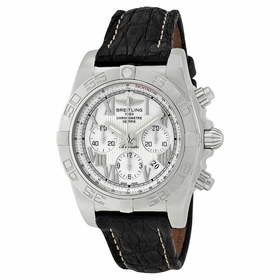 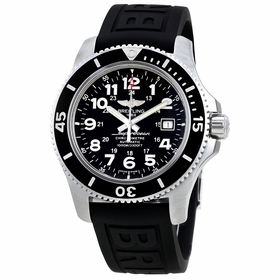 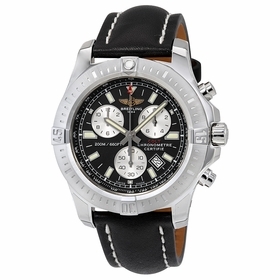 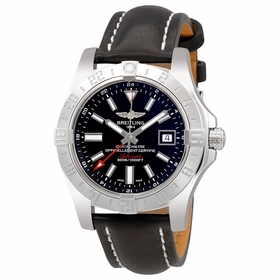 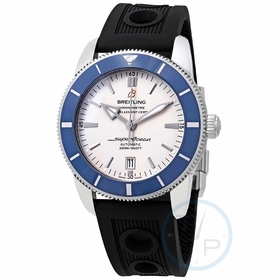 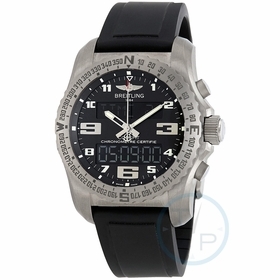 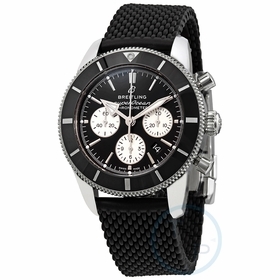 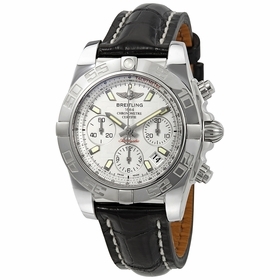 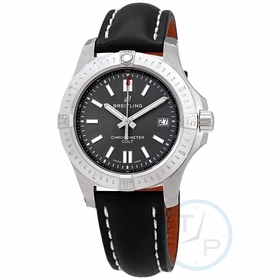 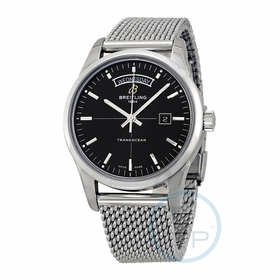 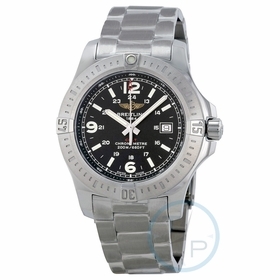 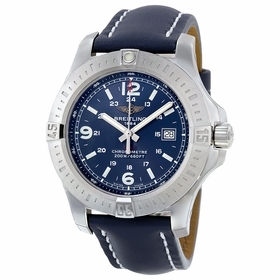 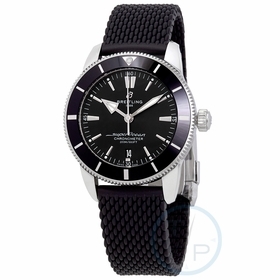 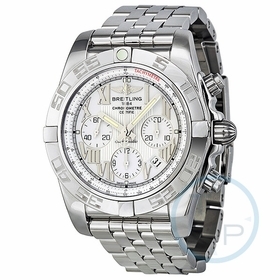 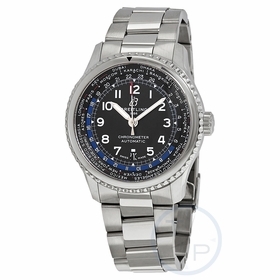 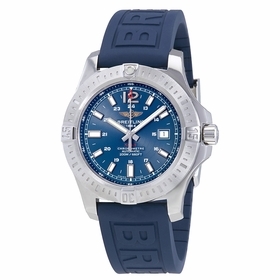 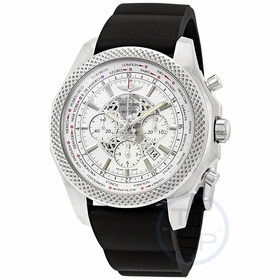 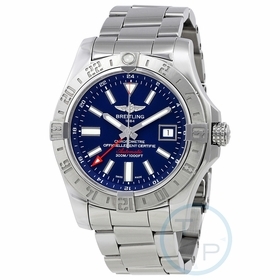 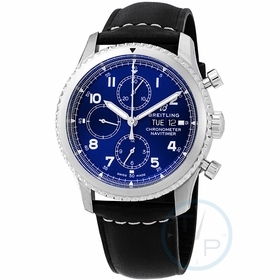 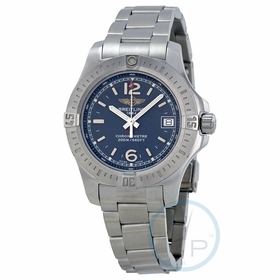 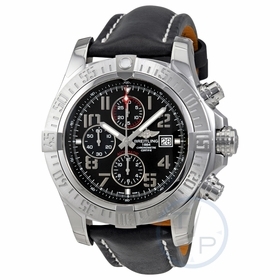 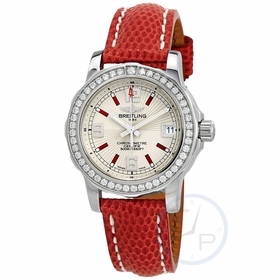 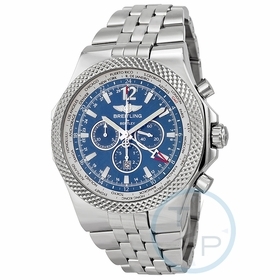 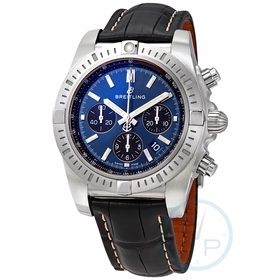 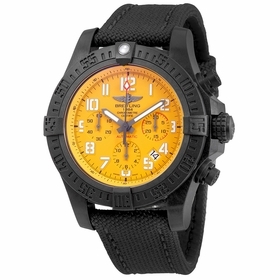 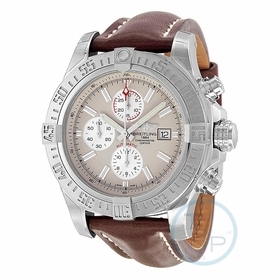 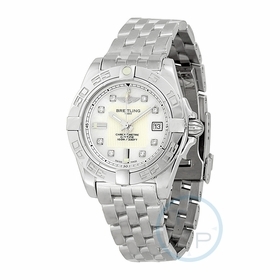 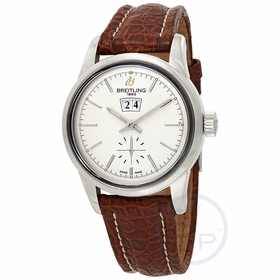 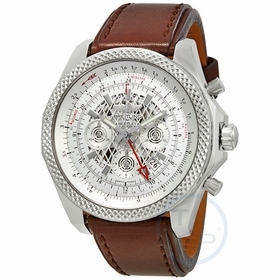 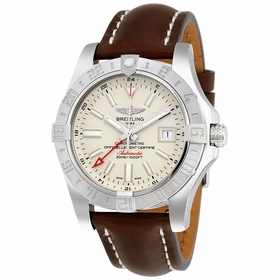 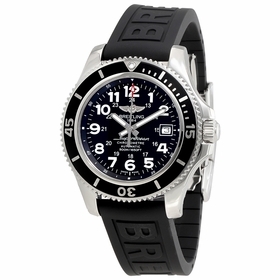 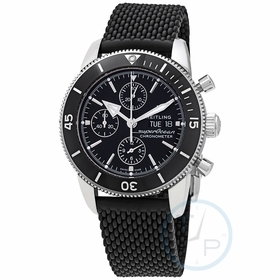 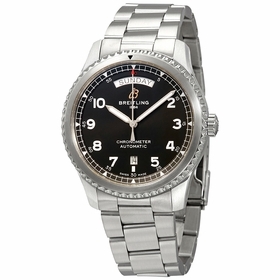 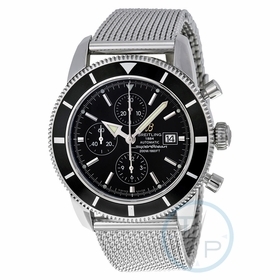 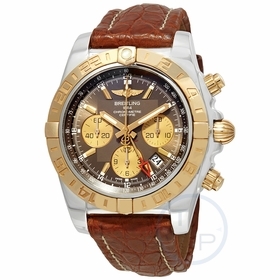 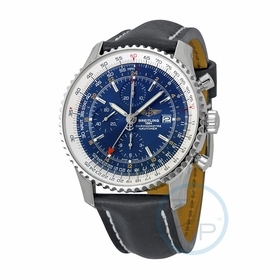 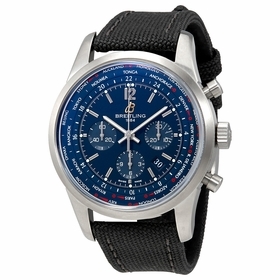 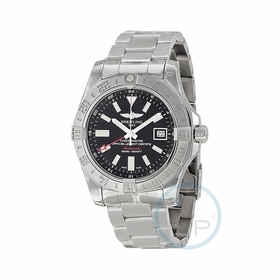 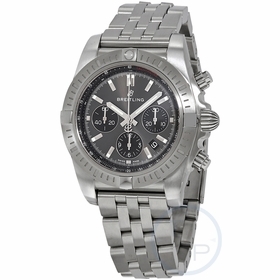 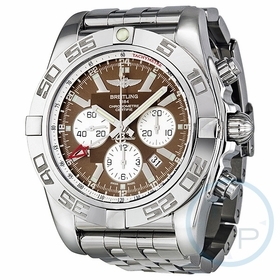 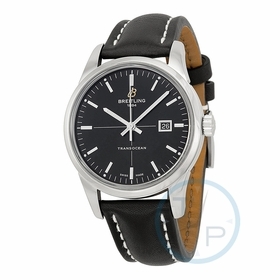 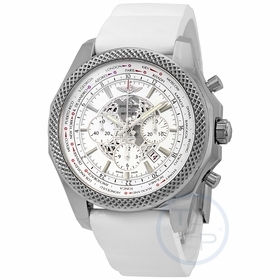 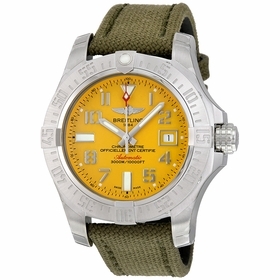 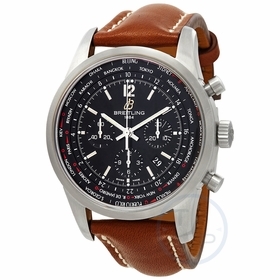 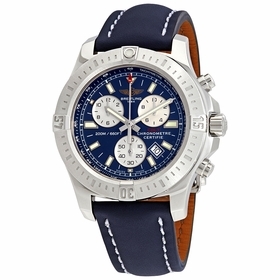 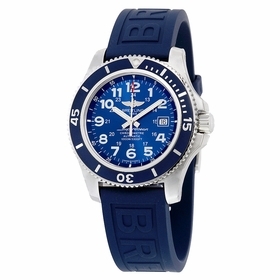 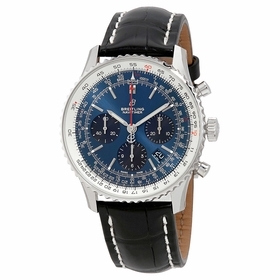 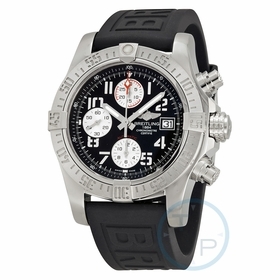 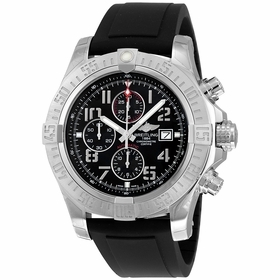 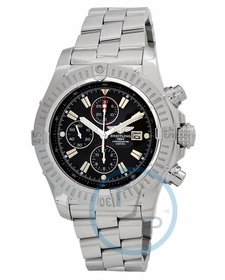 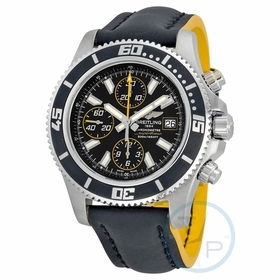 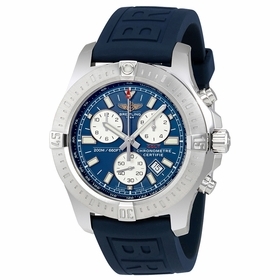 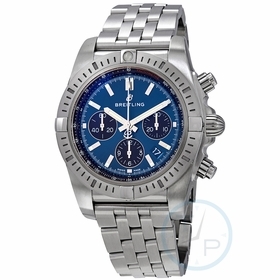 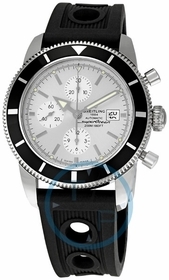 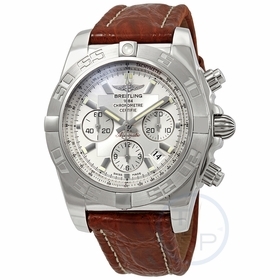 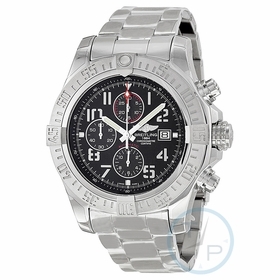 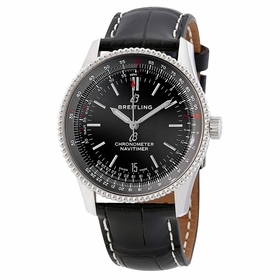 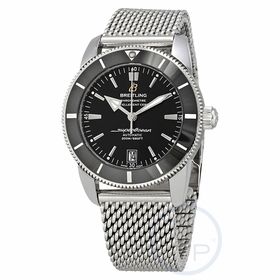 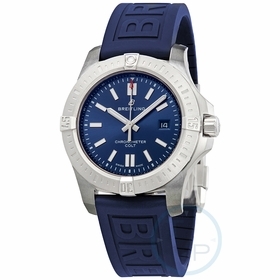 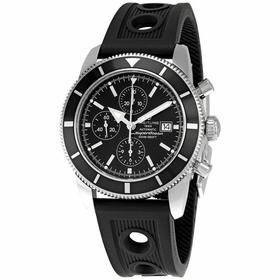 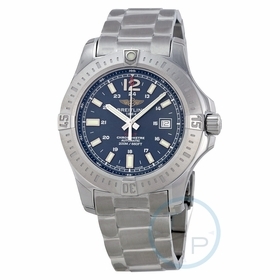 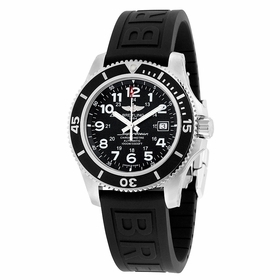 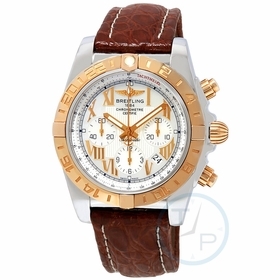 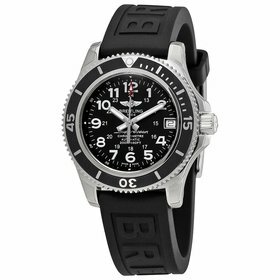 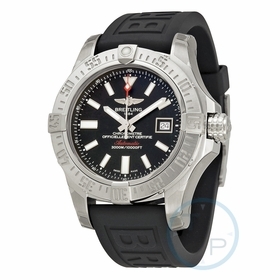 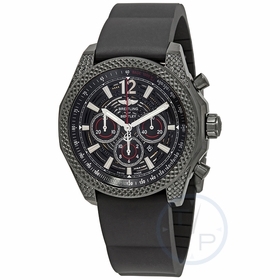 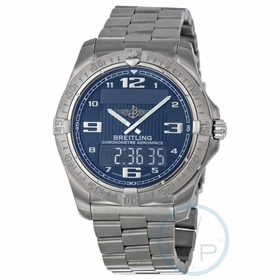 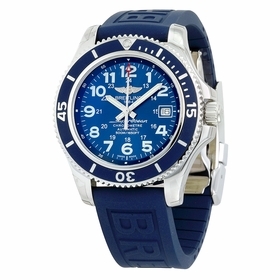 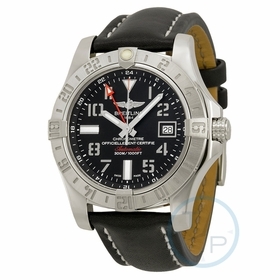 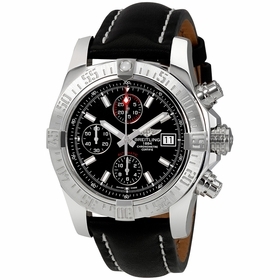 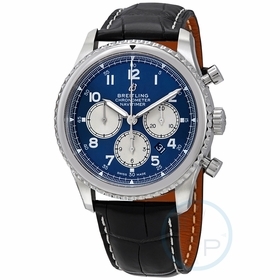 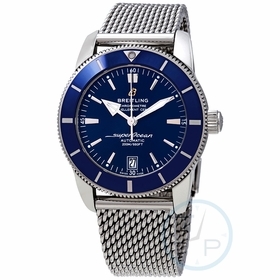 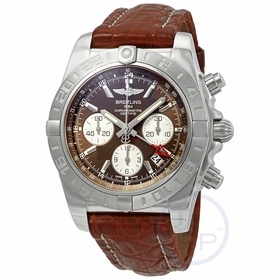 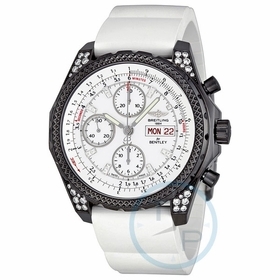 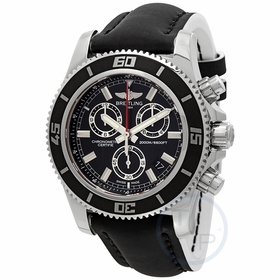 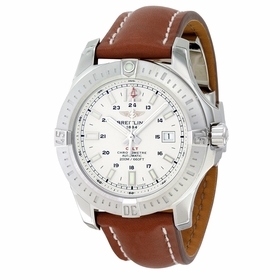 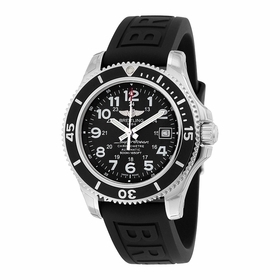 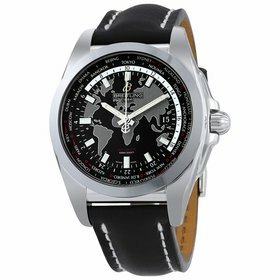 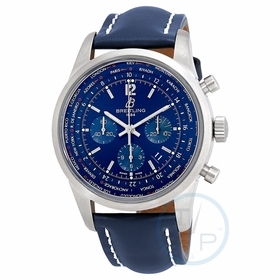 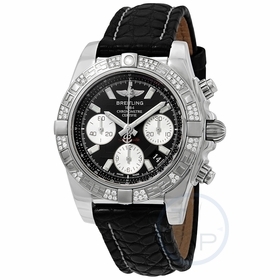 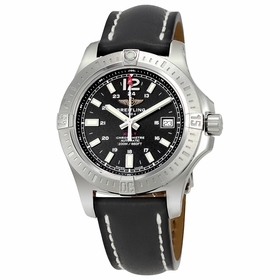 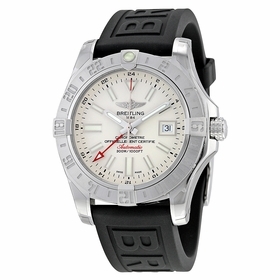 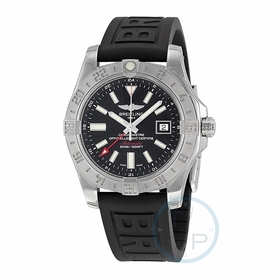 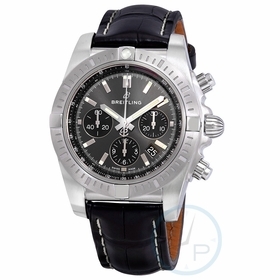 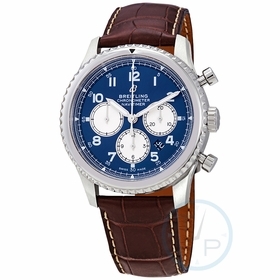 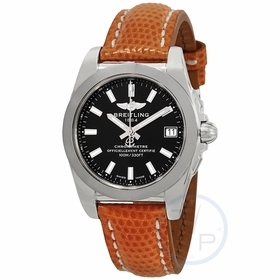 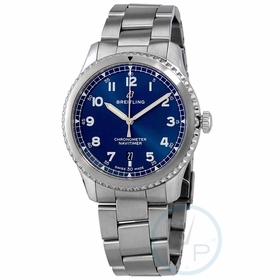 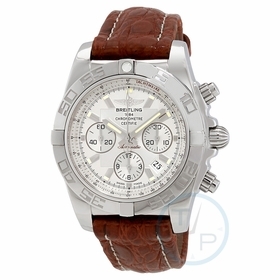 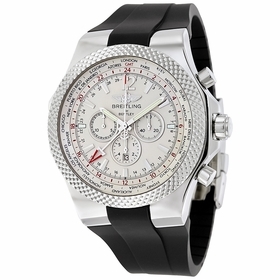 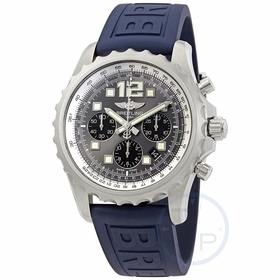 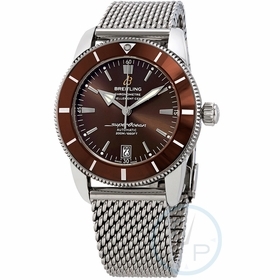 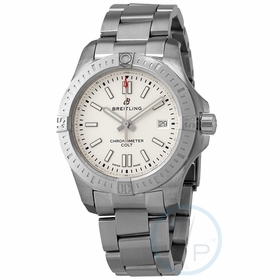 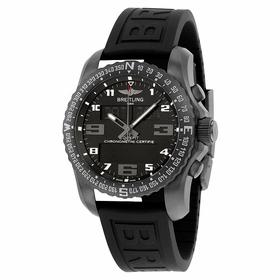 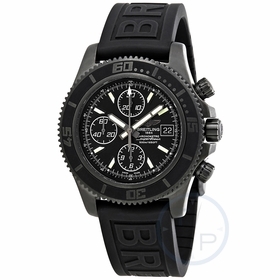 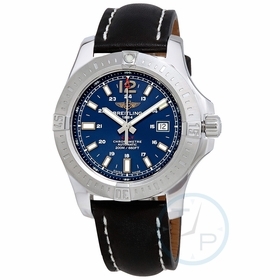 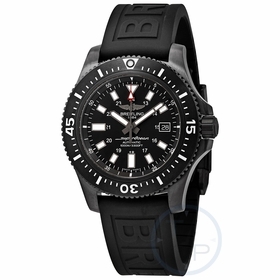 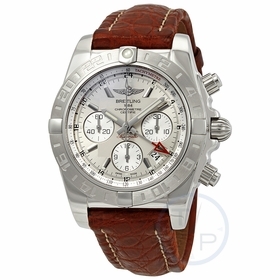 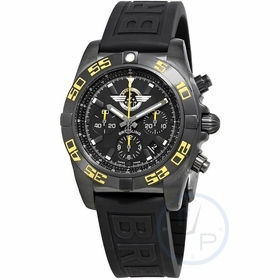 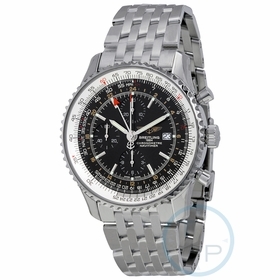 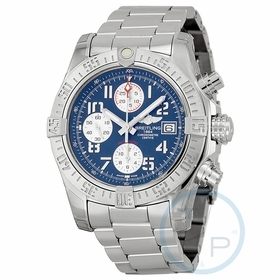 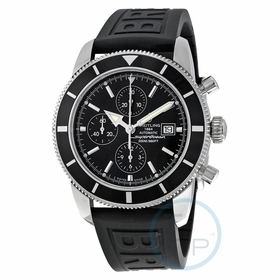 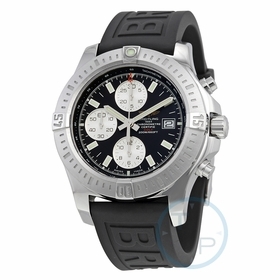 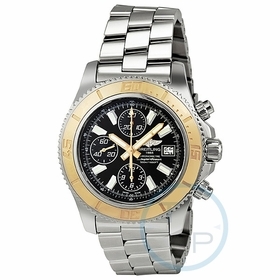 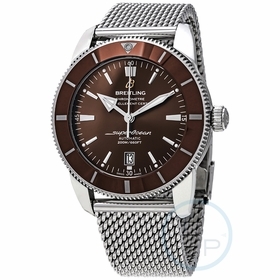 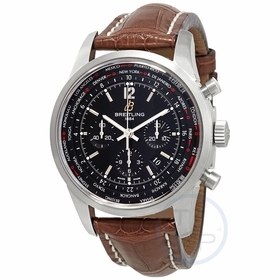 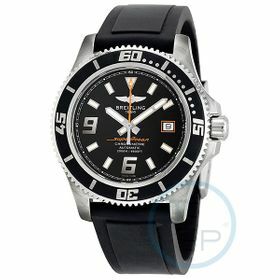 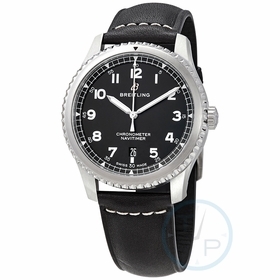 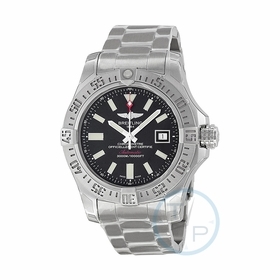 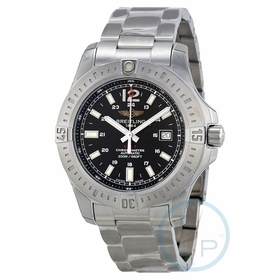 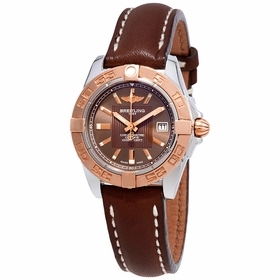 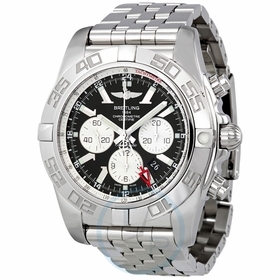 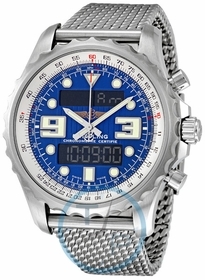 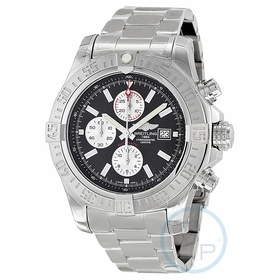 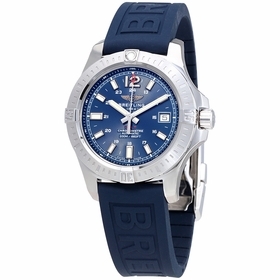 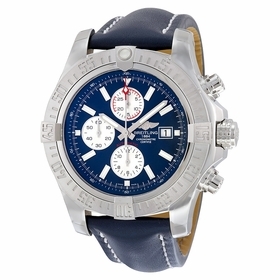 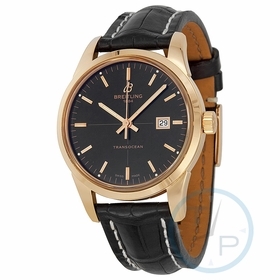 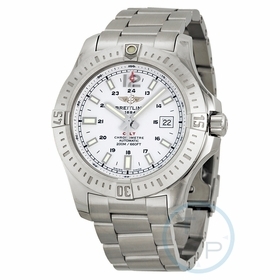 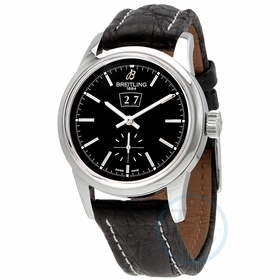 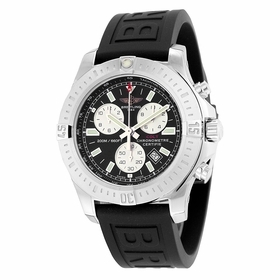 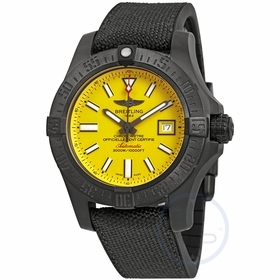 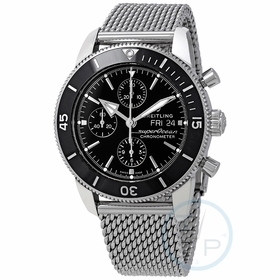 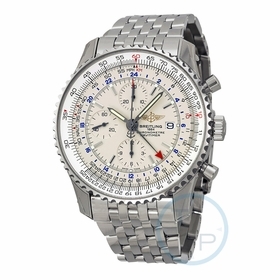 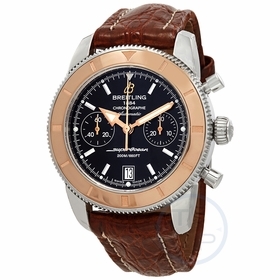 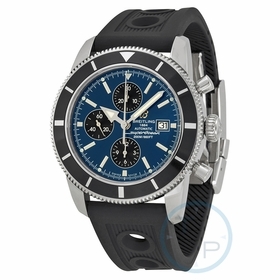 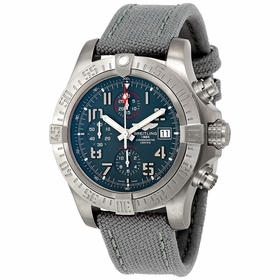 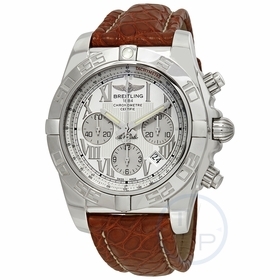 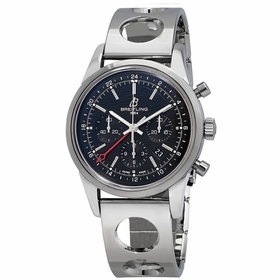 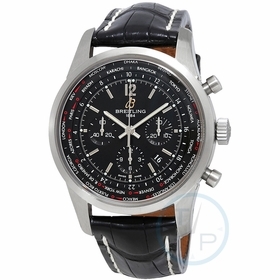 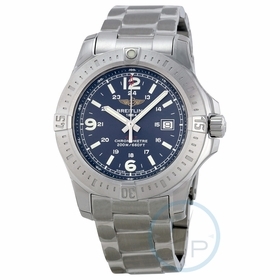 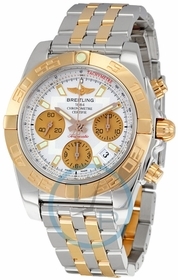 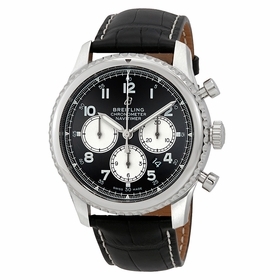 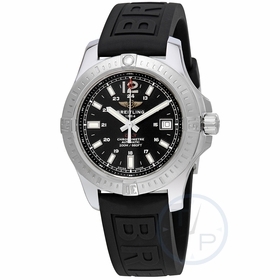 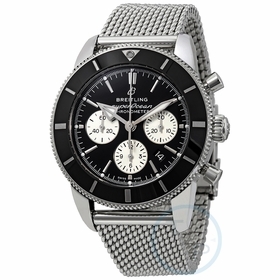 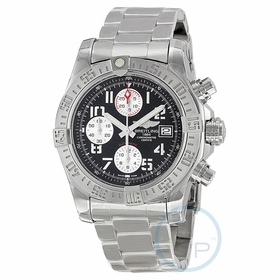 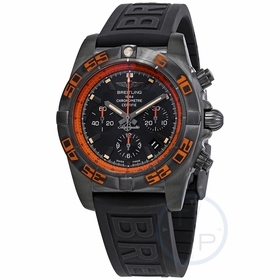 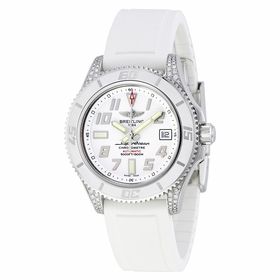 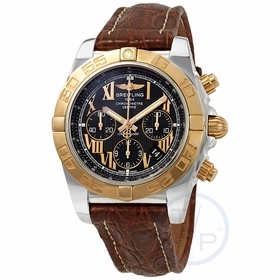 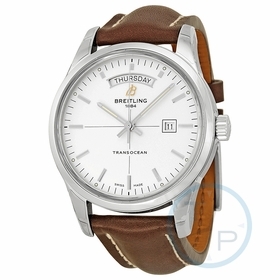 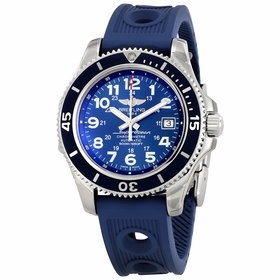 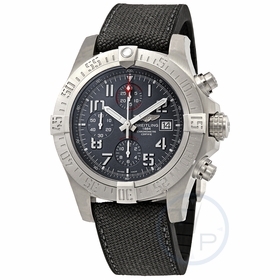 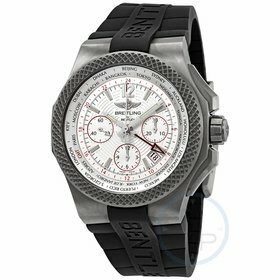 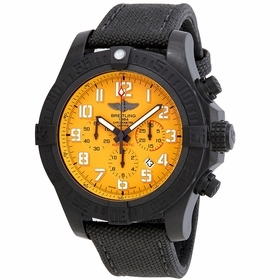 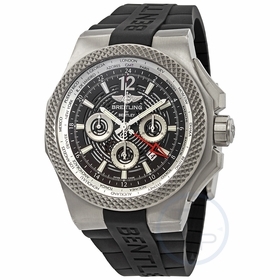 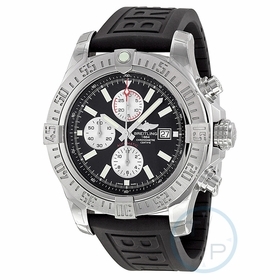 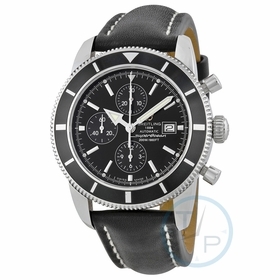 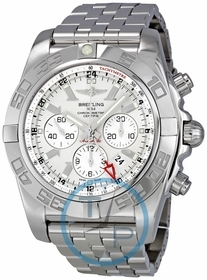 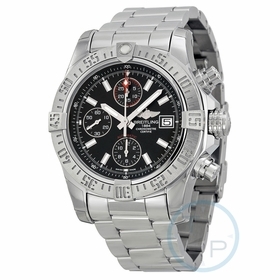 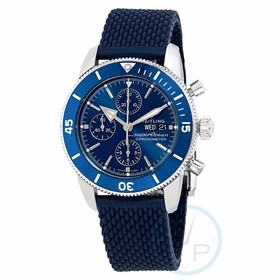 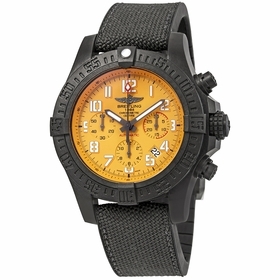 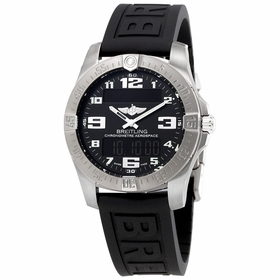 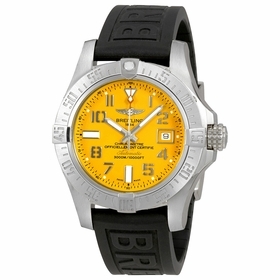 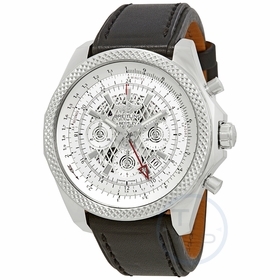 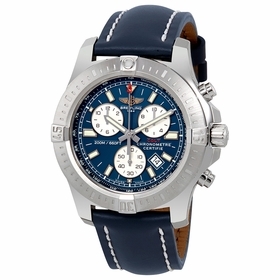 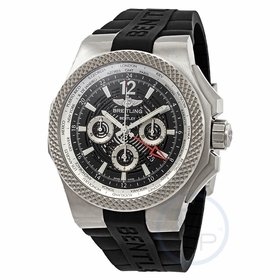 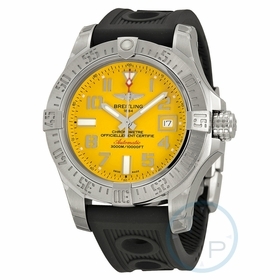 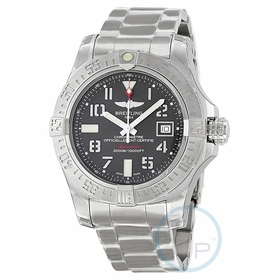 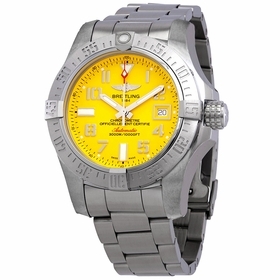 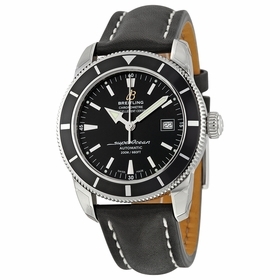 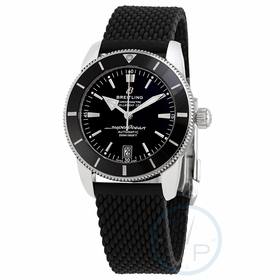 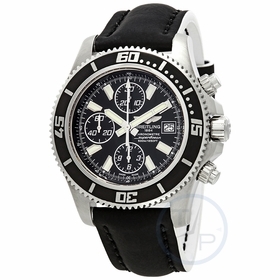 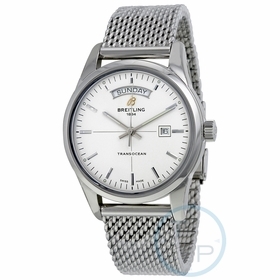 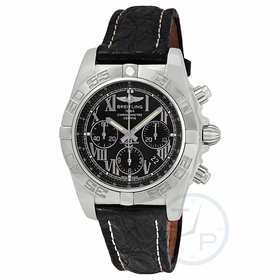 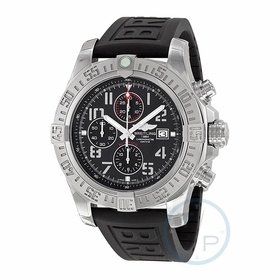 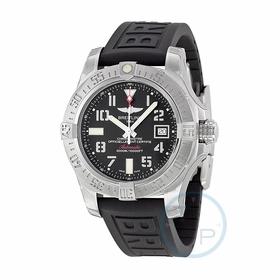 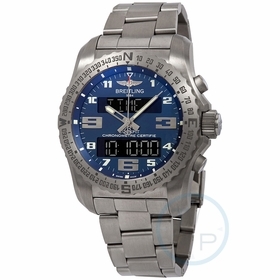 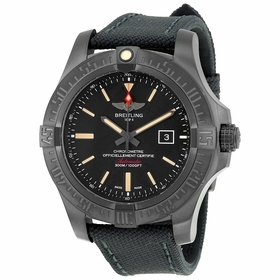 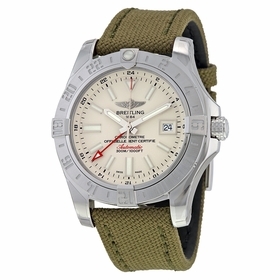 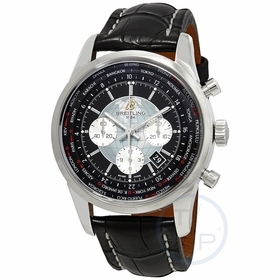 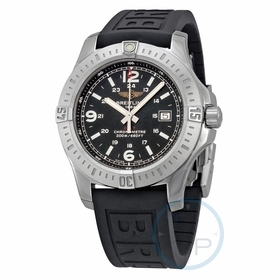 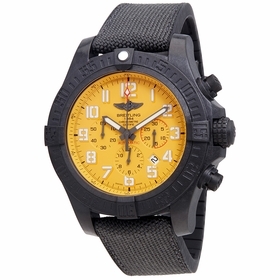 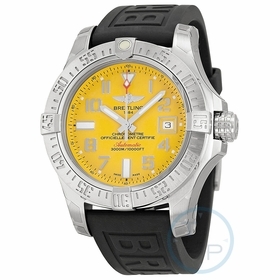 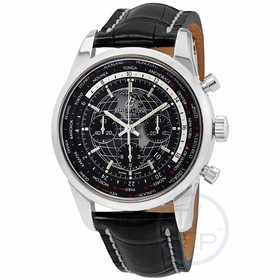 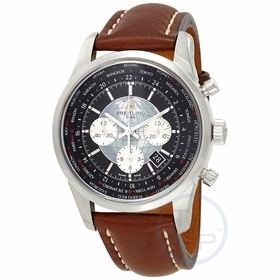 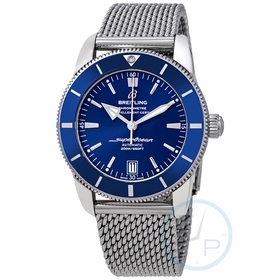 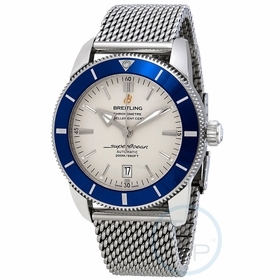 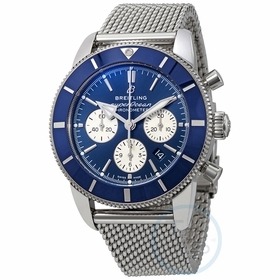 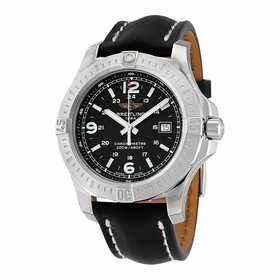 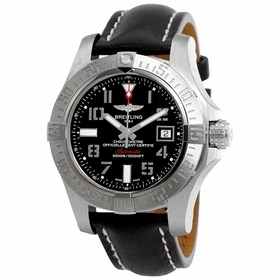 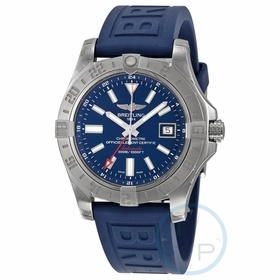 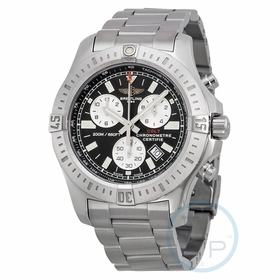 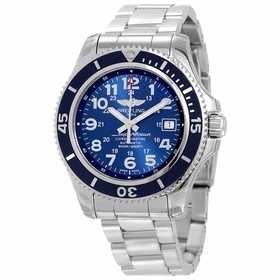 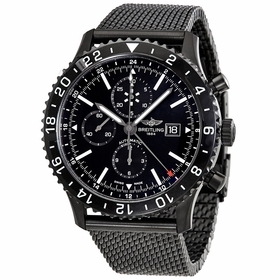 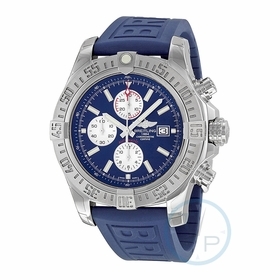 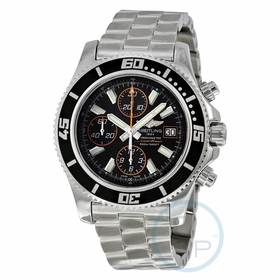 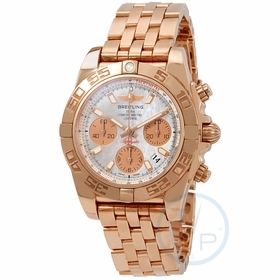 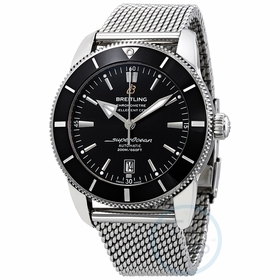 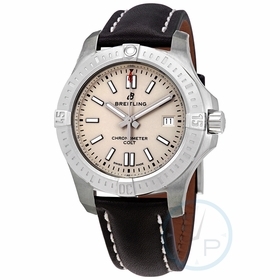 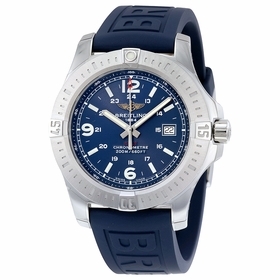 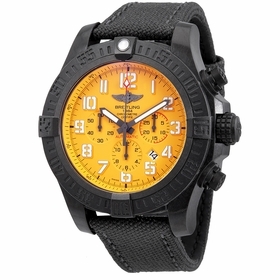 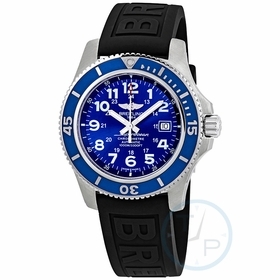 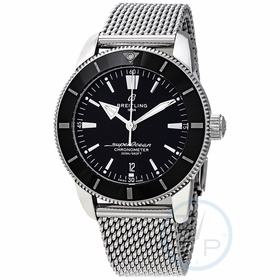 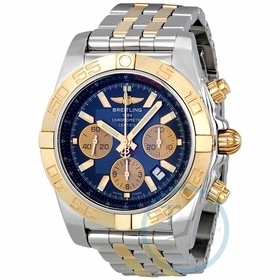 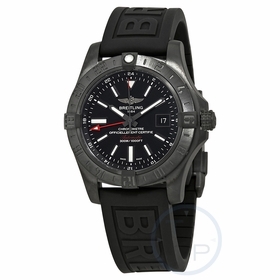 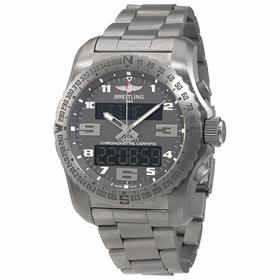 A brand long associated with aviation, Breitling was founded in Jura Switzerland in 1884 by Leon Breitling. 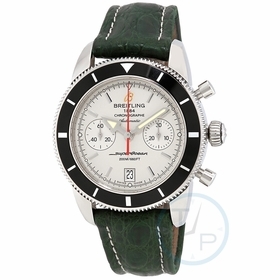 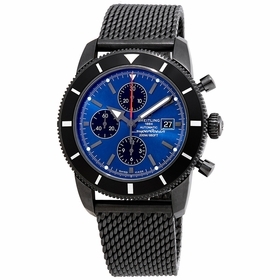 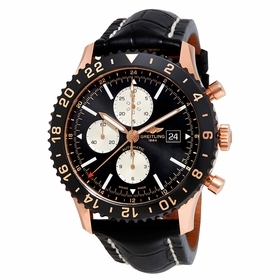 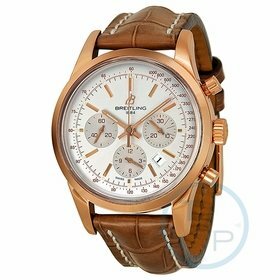 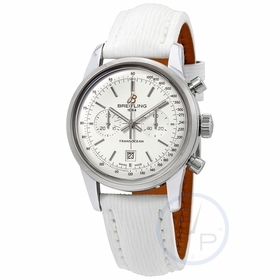 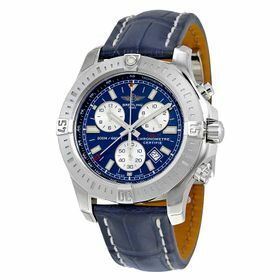 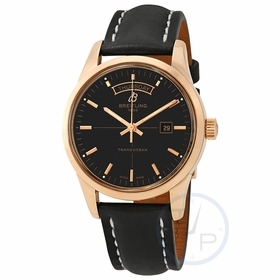 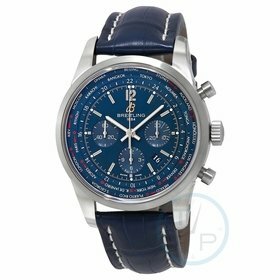 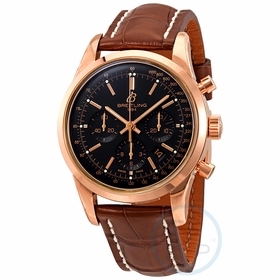 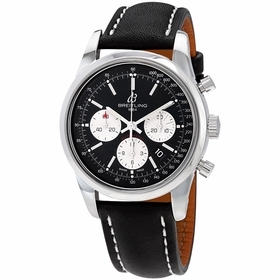 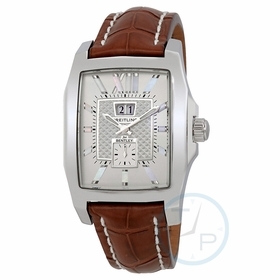 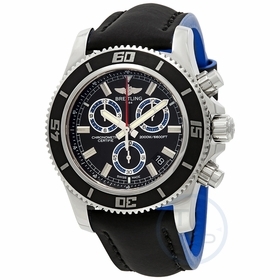 The brand is renowned for being a specialist of technical timepieces and played a pivotal part in the development of the world�s first chronograph. 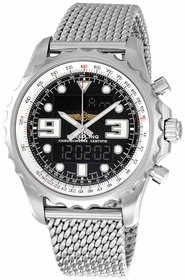 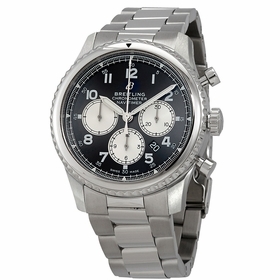 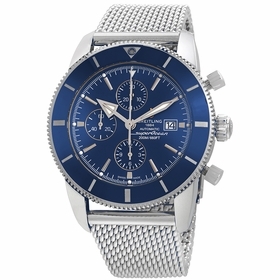 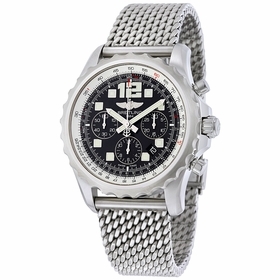 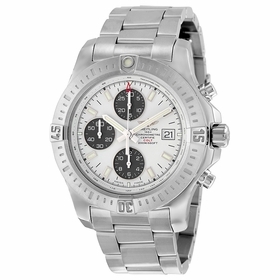 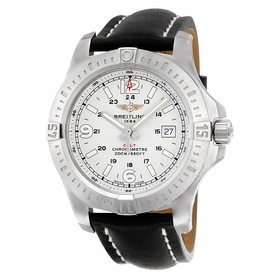 In 1915, Breitling invented the first independent chronograph push-piece. 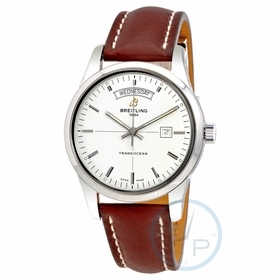 The brand in 1923 perfected the system of the stop/start functions from that of resetting a mechanism. 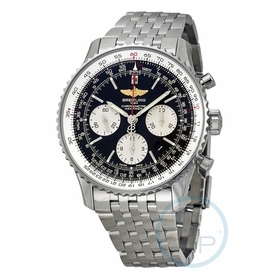 This was extremely valuable for the timing of sporting events and calculation of flight times. 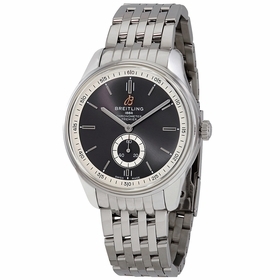 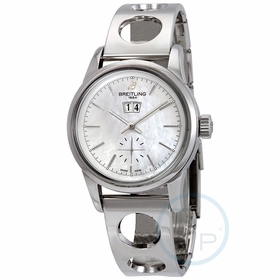 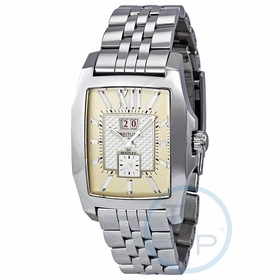 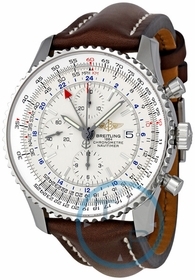 Breitling designed the second independent reset push-piece in 1934, a decisive breakthrough in watch-making history. 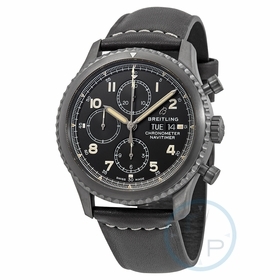 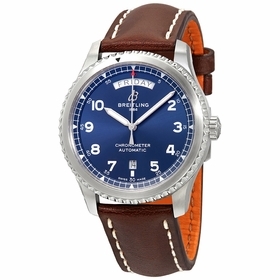 Breitling introduced a range of specialty onboard aviation chronographs for use in aircraft cockpits in the 1930�s, which were immediately indispensable for pilots and were employed by the British Royal Air Force in World War II on fighter planes. 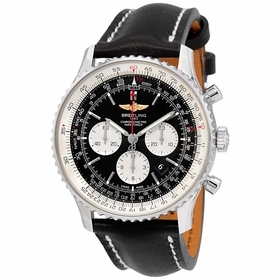 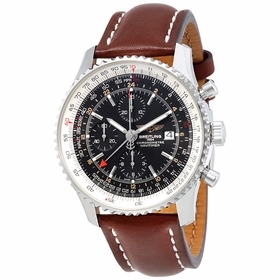 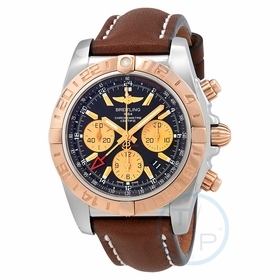 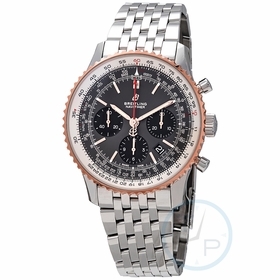 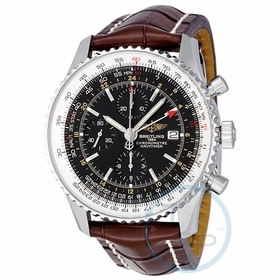 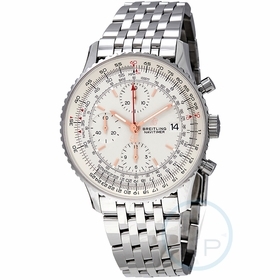 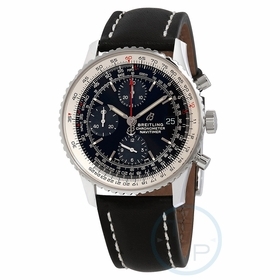 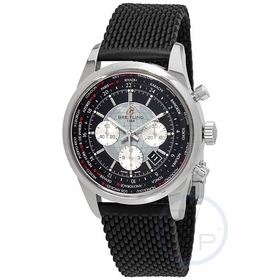 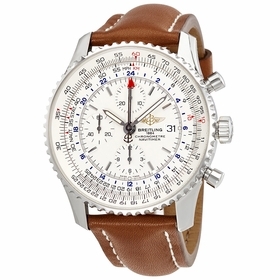 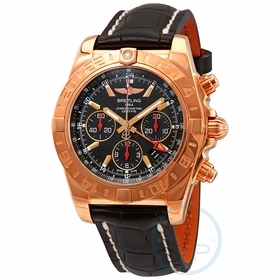 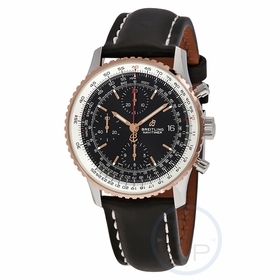 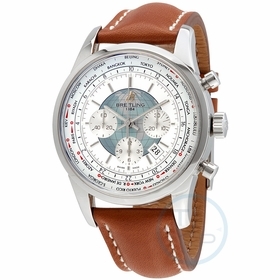 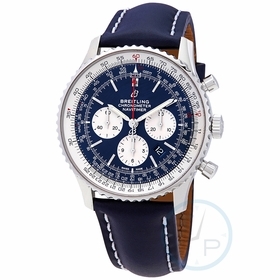 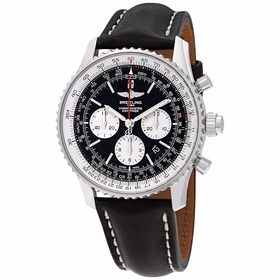 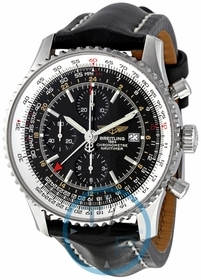 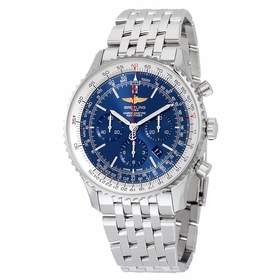 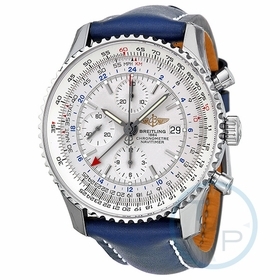 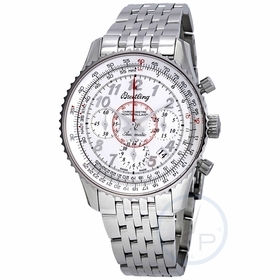 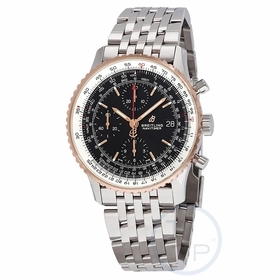 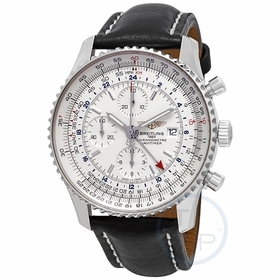 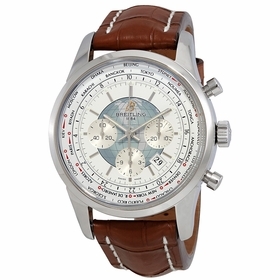 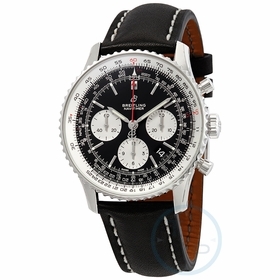 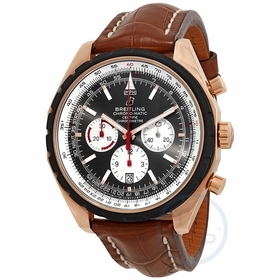 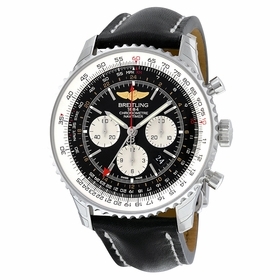 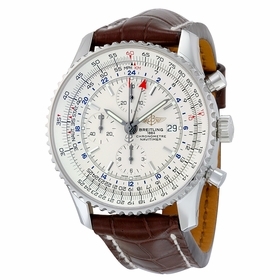 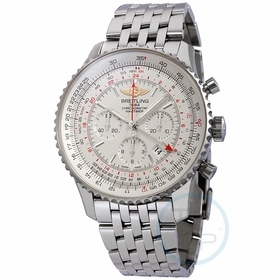 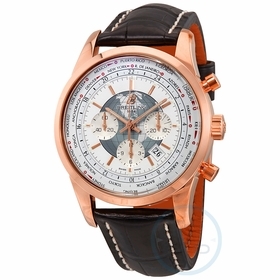 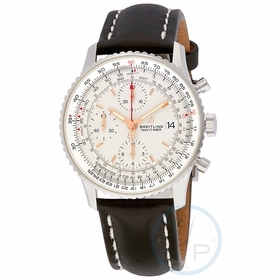 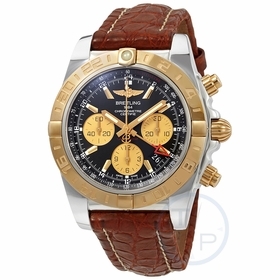 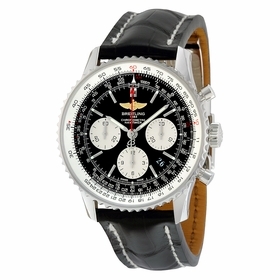 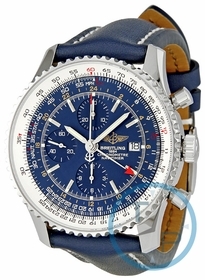 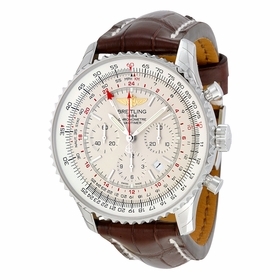 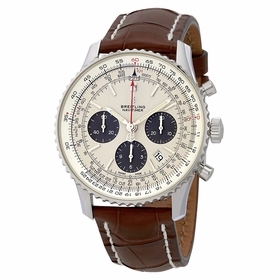 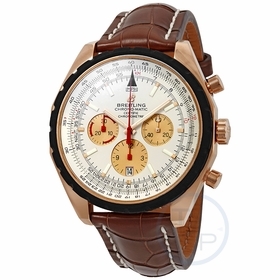 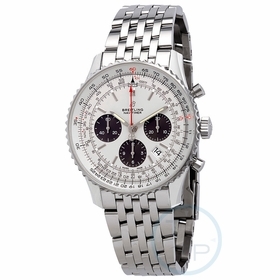 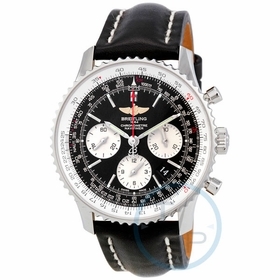 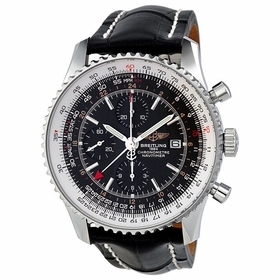 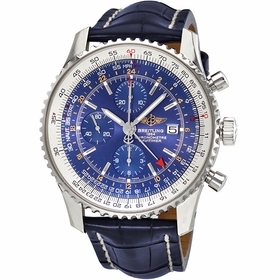 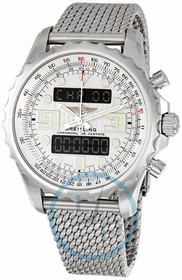 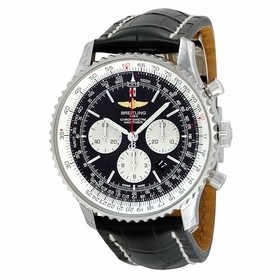 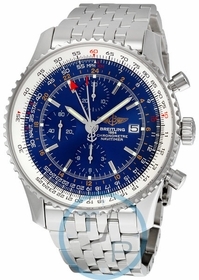 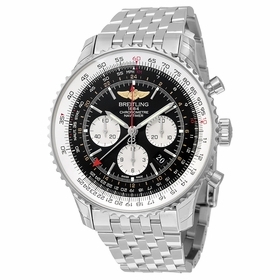 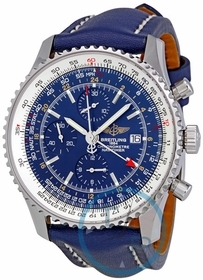 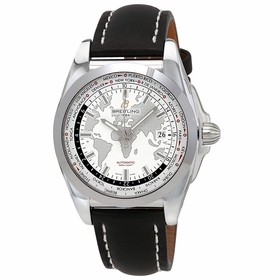 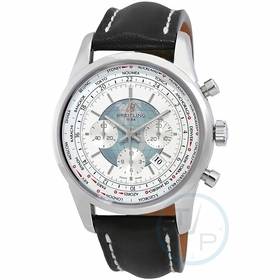 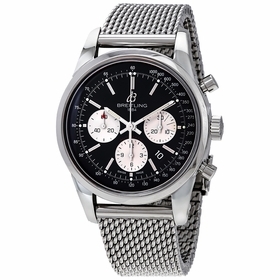 Breitling solidified its aviation reputation in 1952 with the introduction of the legendary Navitimer chronograph, a mechanical timepiece which featured a slide-rule bezel to perform navigational functions. 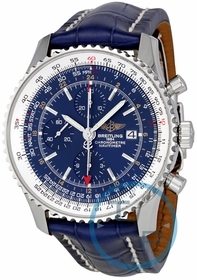 The Breitling Navitimer immediately became a favorite of pilots and is one of oldest mechanical chronographs still being produced today. 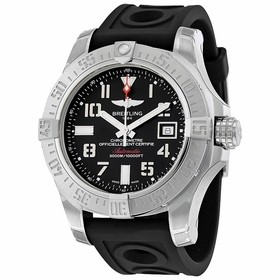 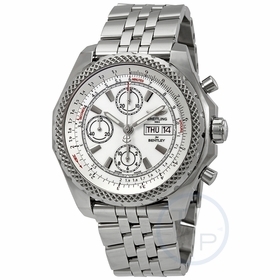 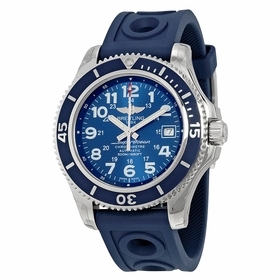 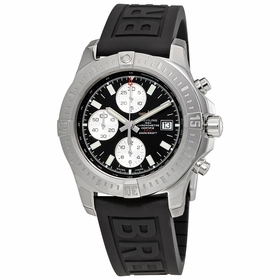 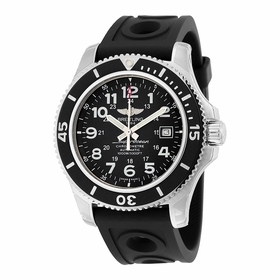 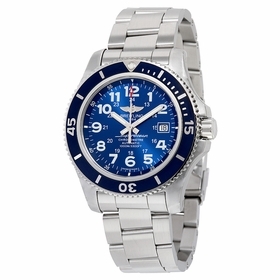 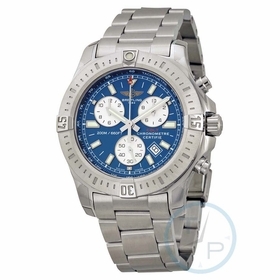 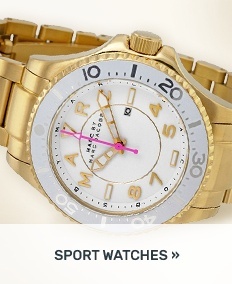 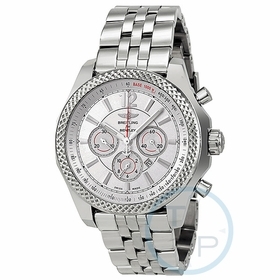 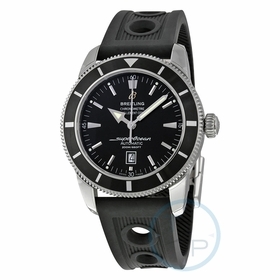 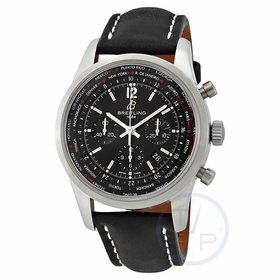 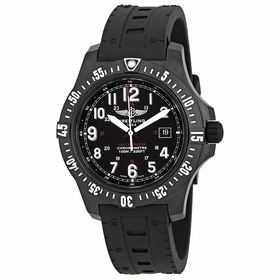 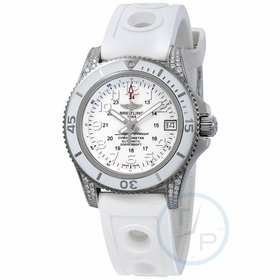 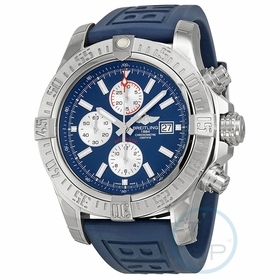 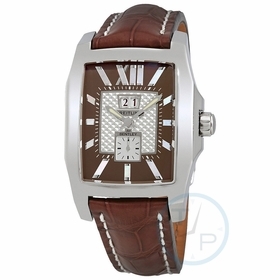 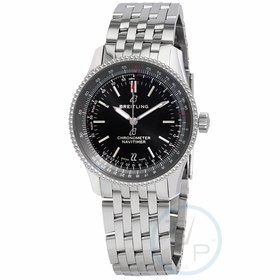 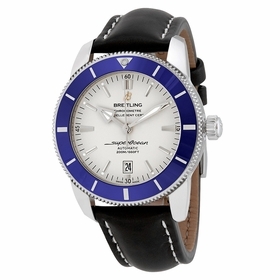 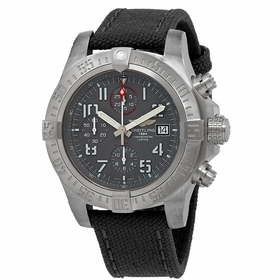 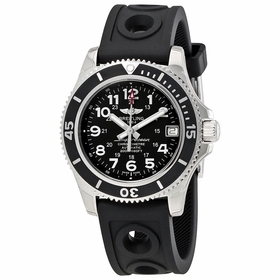 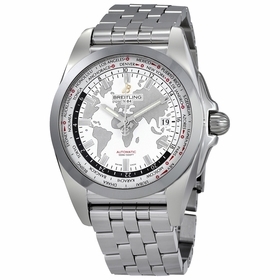 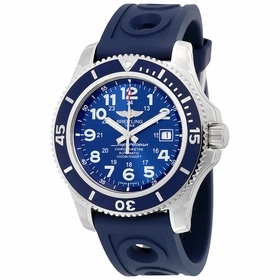 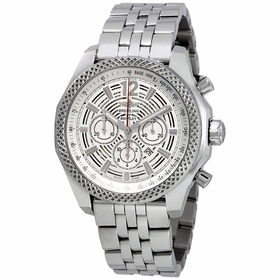 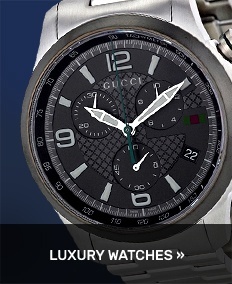 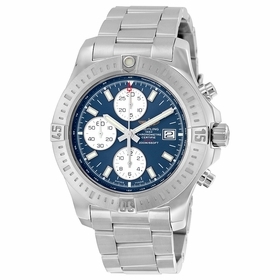 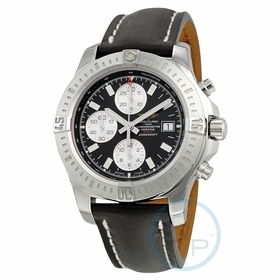 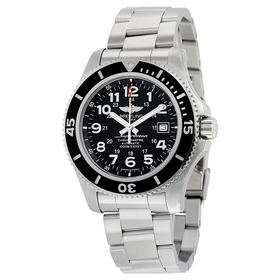 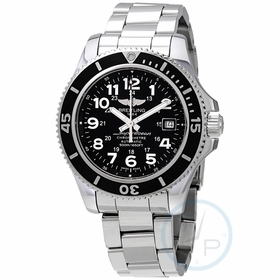 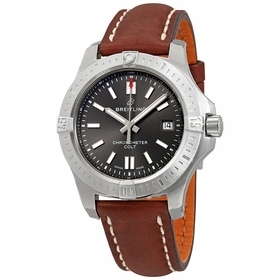 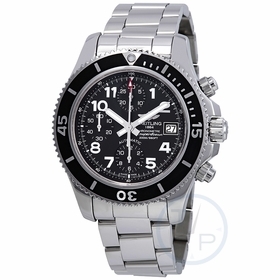 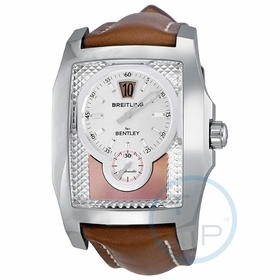 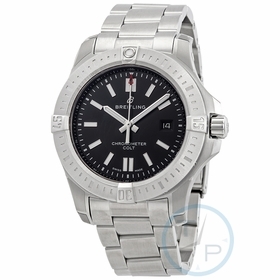 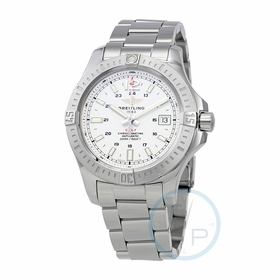 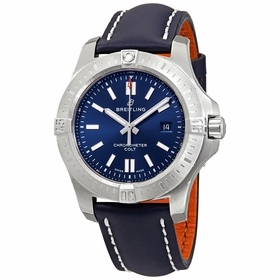 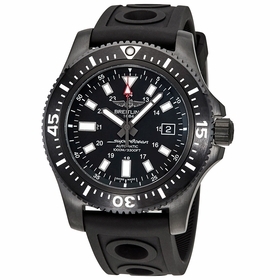 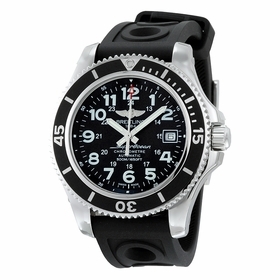 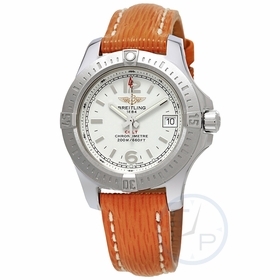 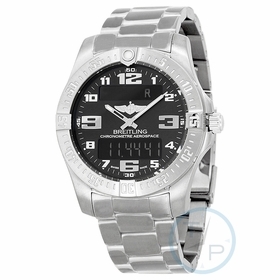 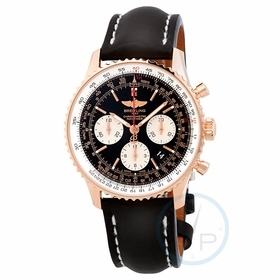 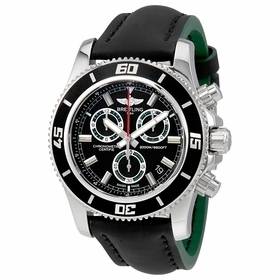 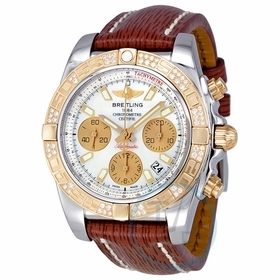 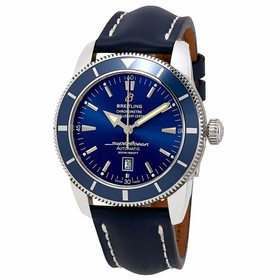 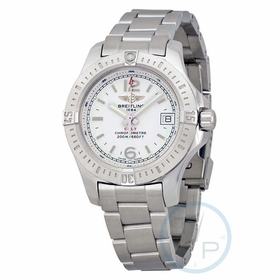 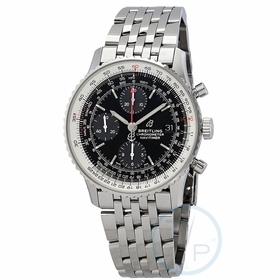 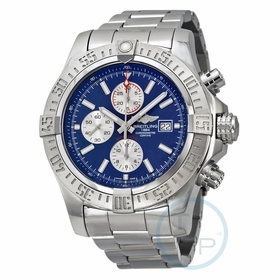 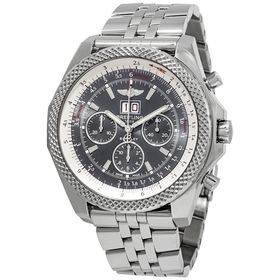 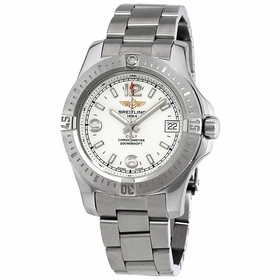 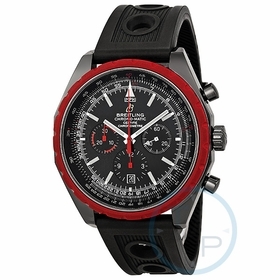 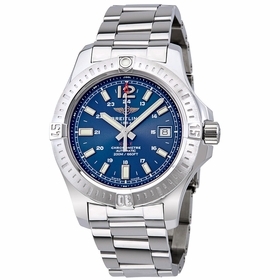 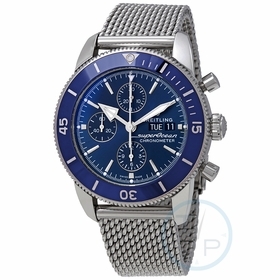 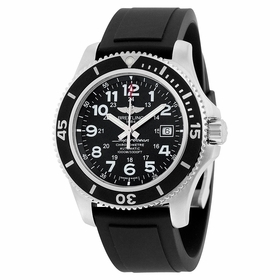 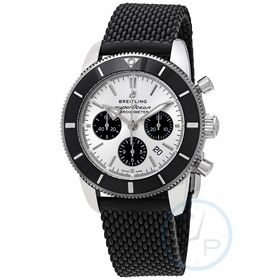 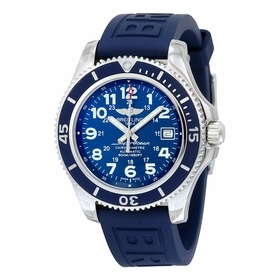 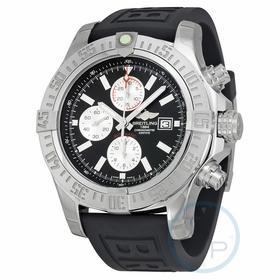 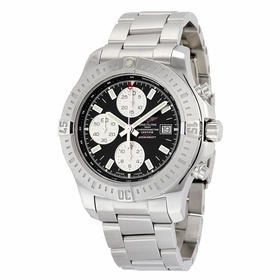 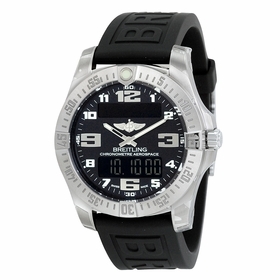 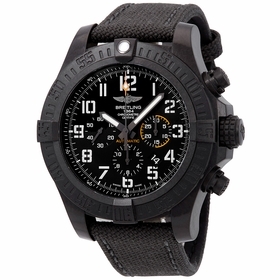 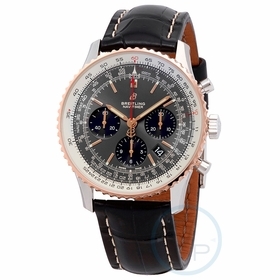 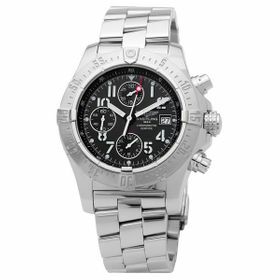 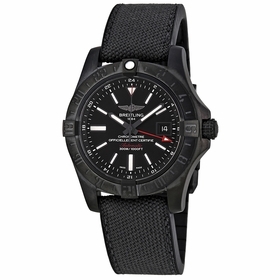 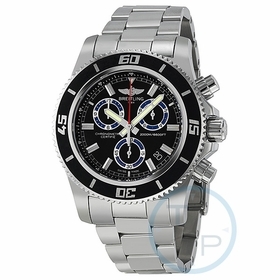 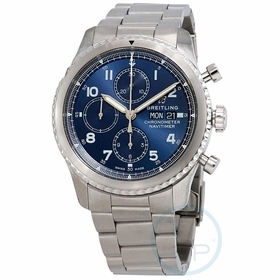 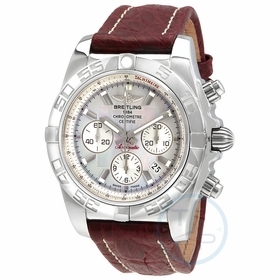 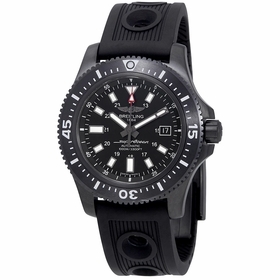 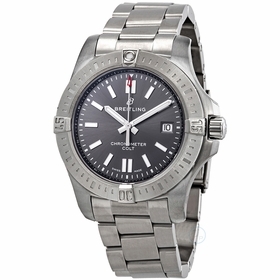 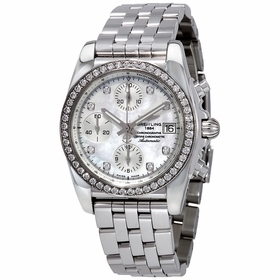 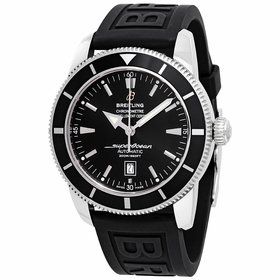 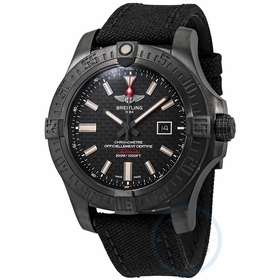 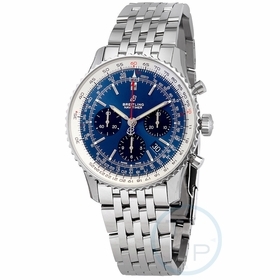 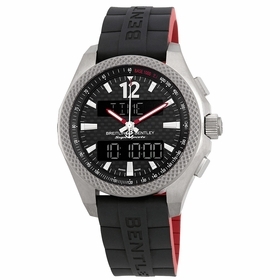 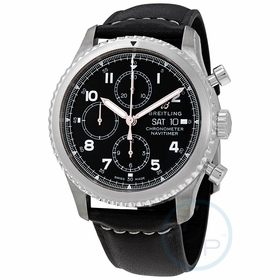 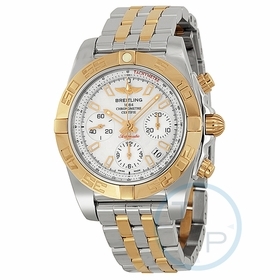 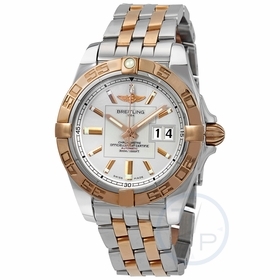 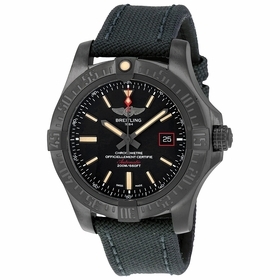 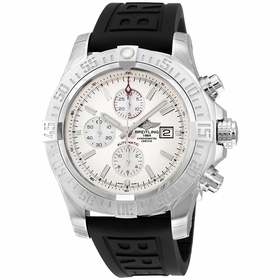 It also remains the first timepiece choice for professional pilots around the globe. 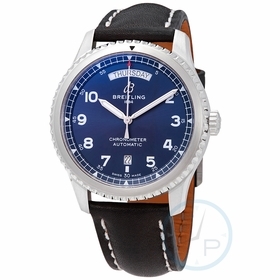 Breitling today holds the distinction of being an independent, family-owned watchmaker for over 132 years, a feat unparalleled in the watch making industry. 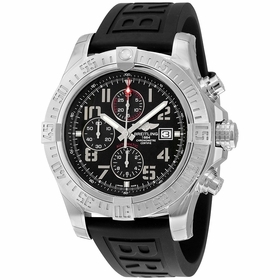 Each and every timepiece produced by the Breitling is manufactured at their plant in La Chaux-de-Fonds, Switzerland. 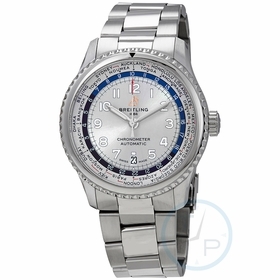 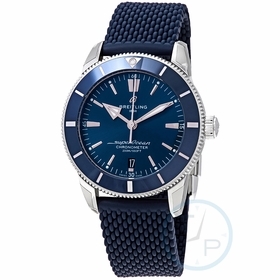 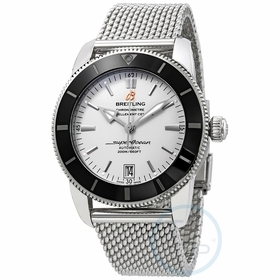 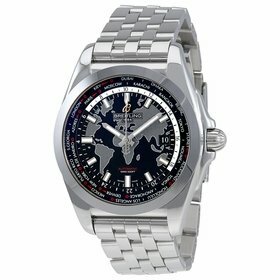 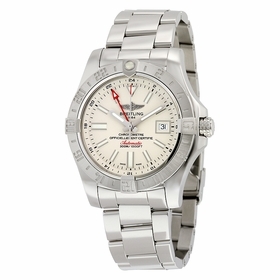 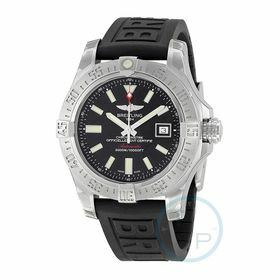 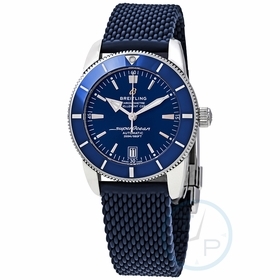 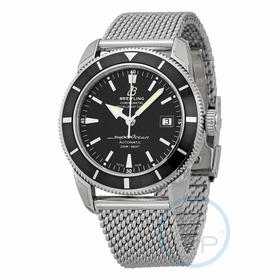 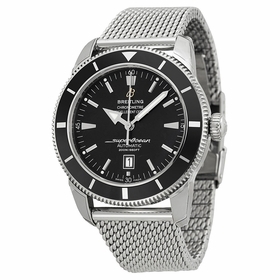 Breitling is also one of the only watch brands to submit all of its timepieces, both automatic and quartz to the Swiss Chronometer Testing Institute for official Chronometer certification.